The Park 740 PWX is a 50:50 articulated machine, rear wheels exactly follow the front wheels track. Provided with 4WD for perfect traction on slopes, hydraulic power steering improving manoeuvrability, pedal controlled hydrostatic transmission for a smooth speed adjustment and powered by a twin cylinder 11,9 kW Vanguard Briggs & Stratton petrol engine, this Park front mower grants limited vibrations and noise level for top driving comfort and it is a highly-specified machine with lateral control panel, cushioned seat with single lever for adjustable positions, bright led front light for night work. 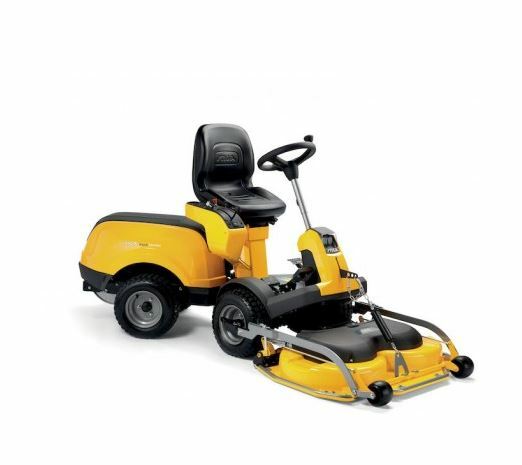 The Park 740 PWX can be provided with Multiclip cutting decks from 95 to 110 cm. The electric adjustment allows to set the deck height in few seconds, keeping the engine started and being comfortably seated.